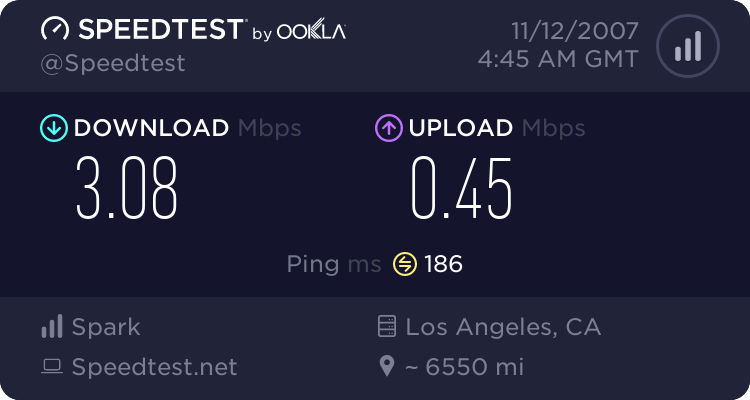 To LA is 2900kbps for me 7:20 in the evening. Compares well to the 3850kbps to the XNet server. Rhino, where are you located? And Rhino are you sure it is kbps and not kBps? Hey i just did another one at 7:27pm and its 668kbps to L.A and yes thats BITS not BYTES. I am located in Te Aroha, Waikato. Rhino: Hey i just did another one at 7:27pm and its 668kbps to L.A and yes thats BITS not BYTES. I am located in Te Aroha, Waikato. 1. Xnet are migrating their customers to the new back-end over 1-2weeks, so you may not necessary have been switch over yet. 10kBps for a Wormux zip. 500kBps or 3MBps to two PCs in the US. It's nearly midnight, too! 9:30am Tuesday morning to LA... I'm happy - but it's the afternoon speed I want to see increase... will check later. Wow, my offshore speeds have just leaped up (at least during the day). Even Paris is in 4 figures!! Very pleased - well done Xnet. Dont know about anyone else, but I had a few days of good speeds, and now I'm back to square one. Pretty much the same here, too. I spoke too soon, too. 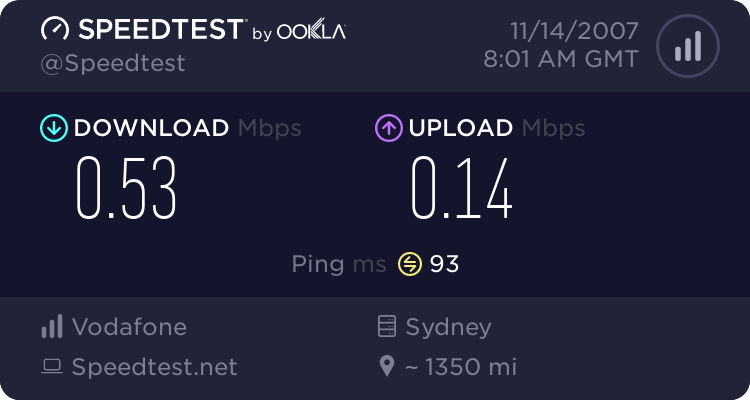 Utter rubbish speeds at night, still. Upload & Download speeds are about as good as I've ever had too. It seems that some Xnet connections are performing better than others. Exchange or Backhaul congestion issues maybe? *sigh* No, this does not explain good local speeds. This is YET ANOTHER Xnet international speed issue. When will this ISP get it right? This ISP will have to be getting it right sooner or later, well i really hope so. 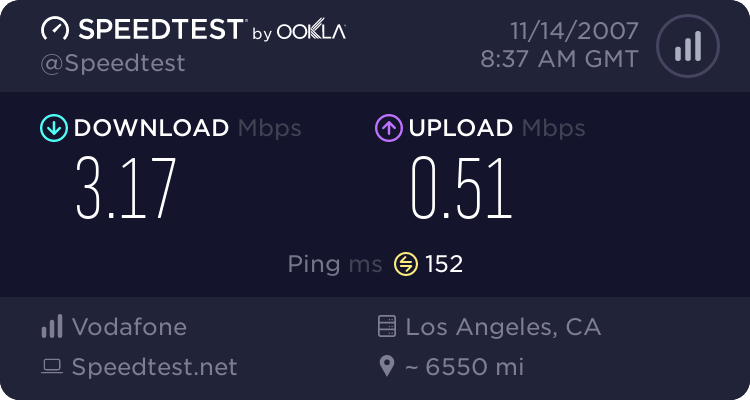 Not looking forward to shopping around for a new ISP. Now that is pretty darn bad! It certainly isn't fit for the purpose, that's for sure. It fails miserably on the Youtube test - just unwatchable. We're getting screwed paying for a non-existent service at night.